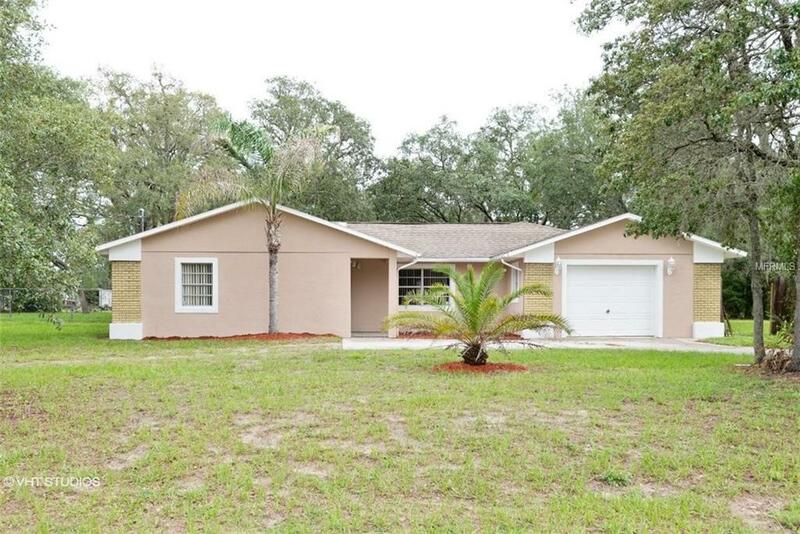 Very spacious move in ready 3 Bedroom 3 Bathroom 1 car garage home nestled on an acre of land! Florida living at its finest. Enjoy entertaining family and friends in the large kitchen, which features dark cabinets and stainless steel appliances. The master bedroom suite includes an oversized walk in shower. The other two bedrooms are nicely sized, with great views of the property. The interior and exterior of the home have been painted recently, and new carpet has also been installed. The land is the star on this property, and the screened in porch is a great place to relax and enjoy Florida outdoors. This is a Fannie Mae HomePath Property. Pet Restrictions Buyer is To Review City And County Ordinances To Verify Pet And Other Deed Restrictions. Seller Does Not Know And Only Presumes The information Provided To Be Correct. Listing provided courtesy of Picket Fences Realty Group.